Spirituality / New Thought | Thank You God! gardening; planting seeds of herbs, vegetables, and flowers. This brings me joy and connects me to mother earth, which is a very grounding experience. At a recent workshop I attended, we explored the idea of seeds being planted into the conscious mind by way of intentions where they germinate and later manifest into our desires. Today, I want to explore the various seeds we can plant in our own lives and see what sprouts. Just like there are many varieties of seeds available to plant for food, shade, or pleasure; there are endless seeds of thought we can plant for a multitude of outcomes. We can choose to plant the seeds of wholeness, wellness, joy, love, beauty, success, dreams, simplicity, harmony, balance, fun, creativity, relationships, communication, forgiveness, reconciliation, hope, faith, strength, courage, wisdom, completion, discipline, longevity, health, adventure, positivity and so much more… There are an infinite amount of seeds available to plant in the fertile soil of our consciousness. The trick is to continue nurturing them and not dig them up. 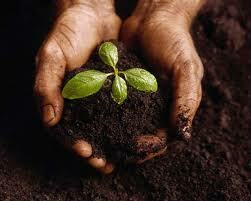 When we plant a seed, we are expressing faith in Universal Laws or Truths that we can trust to manifest our desires. Tomato seeds produce tomatoes. They can’t produce cucumbers because that’s not the intention of their seeds. The same in true for planting seeds of joy, wisdom, love and anything else in life; they all correspond to the intention of that particular seed. Therefor, paying attention to the seeds we plant in our own minds, correspond with the outcomes we experience in our own lives. We have a choice. Planting seeds of faith require gratitude which nurtures the composition of the seeds allowing them to flourish into manifestation. What would you like to plant today? I invite you to plant the seeds that would make your life more enjoyable and fulfilling. Write them down. Nourish them with positivity, faith and trust. Weed out doubt, fear, or negativity. Instead, focus your energy on the outcome of these seeds and before long you will begin to see them sprout (manifest) in your life. * If you liked this article, please comment below and/ or reblog (post on your page/wall) to share with others. Let me know what seeds you’re planting and together we can nurture all the possibilities! Today is Maundy Thursday, a Holy day where Jesus celebrated the Jewish custom of Passover with his disciples before he was crucified the very next day. This meal commemorates Jesus’ Last Supper which began the sacrament of “Holy Communion” in the Christian Faith. For this post, I want to focus on the metaphysical aspects of these important rituals in showing our gratitude for Jesus and for each other. Share a meal all together with your family and enjoy the gifts of communion. Participate in a community event and experience humility in the face of serving others less fortunate. In order to make today even more personal, think about all the sacrifices your parents made in order to provide you with a better life. Give them a call and let them know you appreciate their sacrifices. If you have children, you can relate to the acts of Jesus as he taught his followers lessons of boundless love and humility. Teach your children about these lessons and show them your love through quality time. The blessings of these lessons are that they are timeless and as relevant today as 2,000 years ago. Create your own rituals that sanctify the sacredness of today. 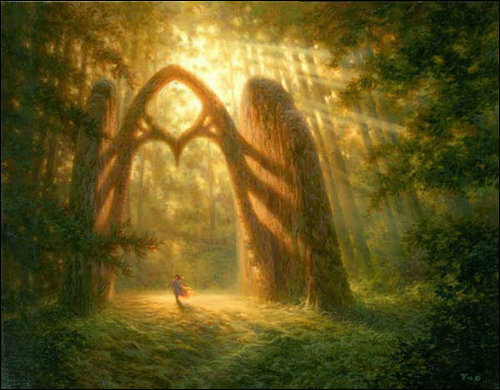 Regardless of your spiritual beliefs, today can be a significant day of reflection, grace, and service. We can reflect on the sacrifices of generations before us and of our own sacrifices for the generations yet to come. We can perform humble acts of service for others in order to appreciate all the blessings we have in our own lives. In what ways do you show your love to others? How can you transcend the lessons of Jesus today? What hope can you offer? There are no pure actions too small or too great that can be done in the name of God; in the name of Love. Experience the blessings of Holy Thursday in whatever way works for you and allow the deeper meaning of today remind you of what’s truly important. Today is Palm Sunday; the kick off to Holy Week for millions of Christians and Jews all over the world and a time for prayerful reflection and gratitude, as well as preparation for changes yet to come. For Christians, today marks the day Jesus rode into Jerusalem on a road covered with palms fit for a king. In the Jewish faith, the rituals of Passover serve as important reminders of the sacrifices and triumphs made by the Israelites to regain their freedom in ancient Egypt. 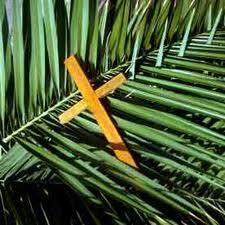 For me, Palm Sunday has deep spiritual meaning because it marks the beginning of personal transformation. Each year, I release another layer of pain, regret, or shame in order to resurrect a new dimension of freedom. Today, I embark on Holy Week by identifying what aspects of my character or life need forgiveness or healing. Then I pray on these areas all week long in order to gain greater clarity of their deeper meaning; to identify the lessons they have for me, since I know that everything happens for a reason and this includes every action and reaction I may have. I also double up on reading spiritual literature to help me to see different points of view and therefor open up my consciousness to greater capacities for love and understanding. I also meditate on these messages from scripture and other sacred texts in order to heed their personal message for me allowing them to inspire and motivate me through this process of grieving and healing. What does today (this week) mean for you? I urge you to take serious thought about utilizing the blessings of Palm Sunday and this Holy Week to resurrect a new found freedom within yourself. In order to have a breakthrough, we must each be willing to break down our barriers (walls) of anger, hurt, shame, fear, and pain so that we can ascend to a higher plane of existence. Change is possible. Change is inevitable. Give yourself the blessing of embracing changes in your life with courage and strength. Face them head on and witness the miracles for yourself. Create your own rituals or plug into the one’s offered by your spiritual community, and utilize this sacred time of year to cleanse your heart of any unwanted feelings that may be holding you back. Throughout the week I will be posting messages of hope and faith as I embark on this sacred journey and remember the sacrifices Jesus made for me through his example. Join me today. Comment what’s on your heart. Identify your areas for transformation. Great joy await for us all on the other side! Today is November 11th, 2011; it is a special day of Peace & Unity as well as Remembrance since it is also Veterans Day. We are blessed to have such a wonderful planet to call home that is abundant with fresh oxygen from billions of trees, as well as clean water to drink and provide climate stability. I am grateful for the sun that grows my food and for keeps me warm; regulating the atmosphere and protecting us from harm. 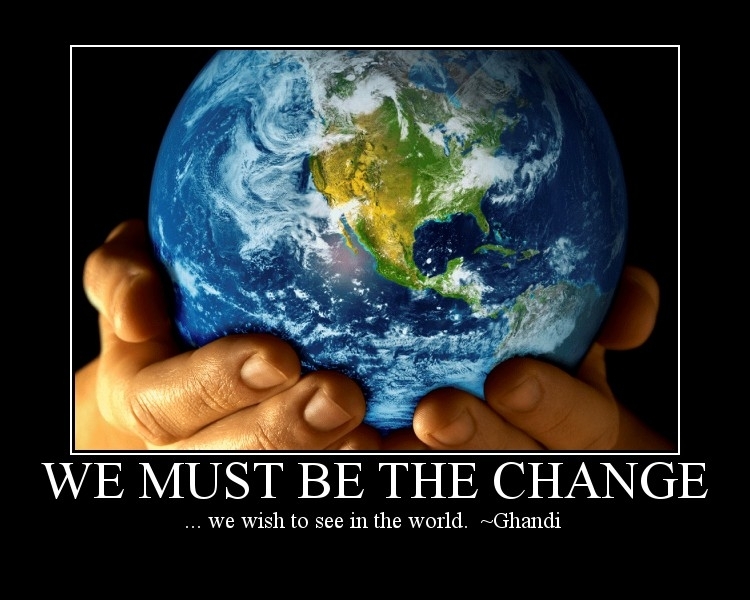 We must be the change we wish to see in the world; by living in Peace and coming from a place of Unity Consciousness. We are all One human race. We share this planet we call home. Thank you to those who have fought and continue to fight for freedom. Now it is time to lay down your guns in exchange for peace. The fight is over. Freedom has won; we see this all through the world as oppressed nations rise against tyranny and claim democracy. It is good. It is done. Light a candle to remember and signify peace. Say a prayer of thanksgiving or simply be still. Mother, Father, God, I am so thankful and grateful for peace, freedom, health, abundance, prosperity and most of all Love. I am so blessed to live in a world of balance, hope and harmony. Earth, air, fire and water remind me of all the elements that encompass human life. I am abundantly and richly blessed. Our leaders are aligned with Infinite Wisdom and Intelligence; Love and Unity. The sick are now healed. The poor rich. The oppressed free. We are all One. Amen. Where is Gratitude in your life? Today, I decided to kick of this post with a good, ol, fashioned poll. See link below to participate! What do you think about Gratitude? I want to know because I think it’s worth looking at in order to become present to our everyday blessings. Author, Melody Beattie has a great little book out called Gratitude; Affirming the Good Things in Life. Inside, Beattie reminds us of the principles of Gratitude; recognition, affirmation, acceptance, and goal-setting. What aspects of gratitude stand out for you? Acceptance of our current circumstances, shifts our attention from drab to fab in the blink of an eye, uplifting our attitude as well as our mood making stress a thing of the past. Now this doesn’t mean we have to love everything in this world, but it does mean we need to accept life on life’s terms. When we practice acceptance, space is opened for gratitude to rush in and that’s where the magic happens. Our whole outlook on life begins to change and fear, negativity, along with depression simply fade away. 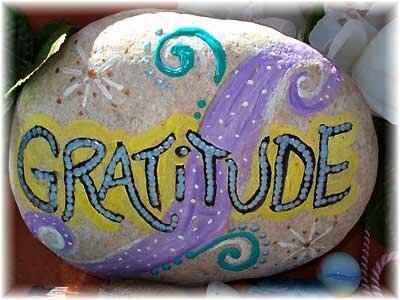 According to Gogratitude.com, “Gratitude is the Master Key that opens all doors of possibility”. They even have a flash movie and a 42 day gratitude journey with inspiring and educational videos to kick-start you on the grateful path. Although they call it an “experiment” what more could you ask for to try a gratitude practice of your very own? What have you got to lose anyways… our old ways of being will certainly be there. I for one, can attest that when I come from a place of gratitude, my heart is open and my eyes are anew; life looks a little brighter, my face and body become more relaxed, my finances increase and judgement simply disappears. So why don’t you come along and take the gratitude challenge with me by seeing how this practice can add years to your life in a prosperous and joy-filled way! I had the great pleasure of participating in two, new, experiences September 1st. One was a book study and the other a magnificent woman’s group that enticed authentic action from me while tugging at my heartstrings and stirring up my passion/purpose. I learned so much from both experiences and grew more empowered and enlightened as a result. It is amazing the breakthroughs that can happen amongst other like-minded beings when brought together for a common purpose. I am so thankful for the opportunity of these groups and for being fully present in them so that I could take full advantage. As a result, I had a fabulous day that was way more powerful than if I was just sitting at home alone. I was reminded of the importance of balance, prioritizing, practicing new skills, facing fear & moving forward with purpose & passion. I was reminded that I teach people how to treat me and that I have the right to be assertive in getting my needs met as well as making my boundaries known. God reminded me of the importance of simplicity, again, and modeled what that looked like from both facilitators as well as provided me an opportunity to practice it with a friend that evening. All that was required was deep listening to another person, being fully present for them and to God, so that I could be a clear conduit for Spirit’s Wisdom. And what a relief it was. No pressure, or anxiety or stress. No worries or fear. No fuss. Just the willingness to listen from both ends. To the person in front of me and God. What could be greater than that. 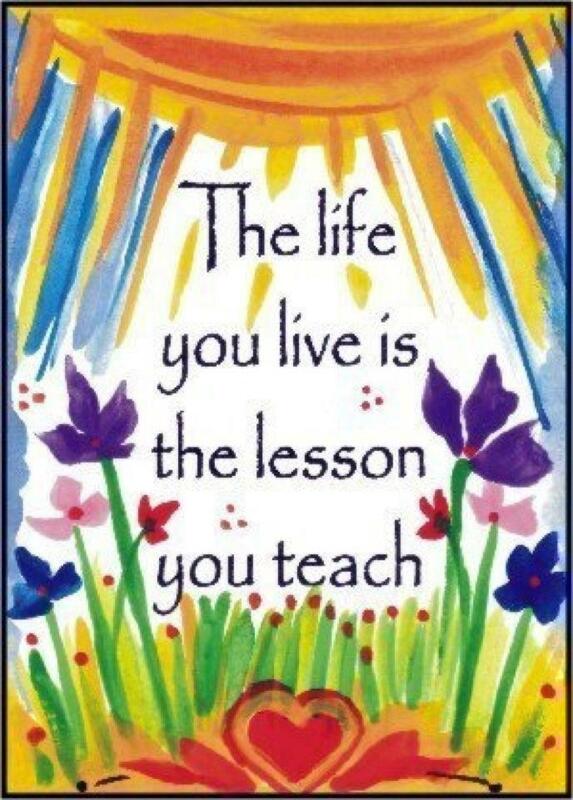 I also learned to appreciate where I came from in my life and the power of just one decision. I was reminded of a dark time when my self destructive ways led me to a crossroads and how I made a conscious choice to live and stop trying to kill myself. This one choice made all the difference in my life and placed me on the path I am today. It led me to recovery and sobriety, to college where I earned my Bachelor’s in Social Work, and most importantly back to God; Source. From then on my Faith began to grow and I learned to trust God in every area of my life. I learned that God had a Divine Plan for me and that I was special and unique with specific talents and gifts designed for greatness. I learned that all the pain I’d experienced wasn’t in vain and that it all had meaning. For God never leaves us or forsakes us; God walks silently alongside us, waiting for us to reach out to him/her. God was there and always has been there. It’s me who moves away and forgets; who turns a deaf ear or becomes blind to the wisdom, love, strength and absolute power that lies in the Almighty. And the best part is, realizing that this power resides in me. That God lives in the center of my being as Spirit and that we are forever connected. That realization alone is what set me free from the roller coaster of addiction as well as suicidal depression. The knowledge that I am not alone and can never be abandoned. The knowledge that I have all the wisdom I will ever need right inside of myself to answer any question or make any decision in my life. The knowledge that comes from trusting God, having Faith, and surrendering control so that I don’t become lost of crazy in the details. I am so grateful that God has got my back and has supplied me with everything necessary for this earthly adventure. Thanks be to God. Blessed Be. And so it is.